Attendees of this event are mainly Black and Latinos between 25-40 years of age. 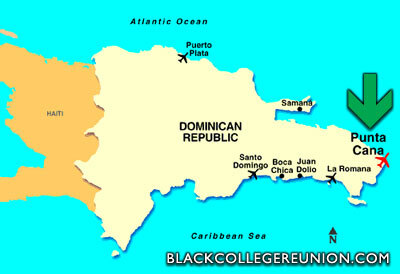 Here is where Punta Cana is located in the Dominican Republic. HeatWave Funfest is an exciting five-day event series created with eclectic appeal that began in Negril, Jamaica Memorial Weekend 2001 on a local and international level. Heatwave Funfest will be even bigger than previous years. During 2003, HeatWave FunFest attracted up to 1500 people from the U.S. mainland and thousands of local residents to it’s theme based events. HeatWave Funfest will again be one of the most popular get-a-way weekend events over various holiday weekends in 2007. Strategic partnerships have enabled us to offer three times the amount of activities from previous years roster. The goal of the festival is to attract over 5,000 US visitors and over 10,000 locals through a marketing plan that will impact millions in the US, UK, Canada and the Caribbean. 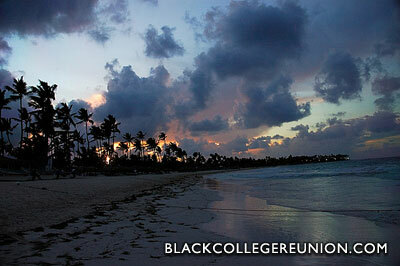 This event happens Memorial Day Weekend ( May 24 – 28, 2007 ) the same weekend as Urban Paradise, so if you are ready for some serious parties all in the same city ( Punta Cana, Dominican Republic ) – Get Crakkin’!